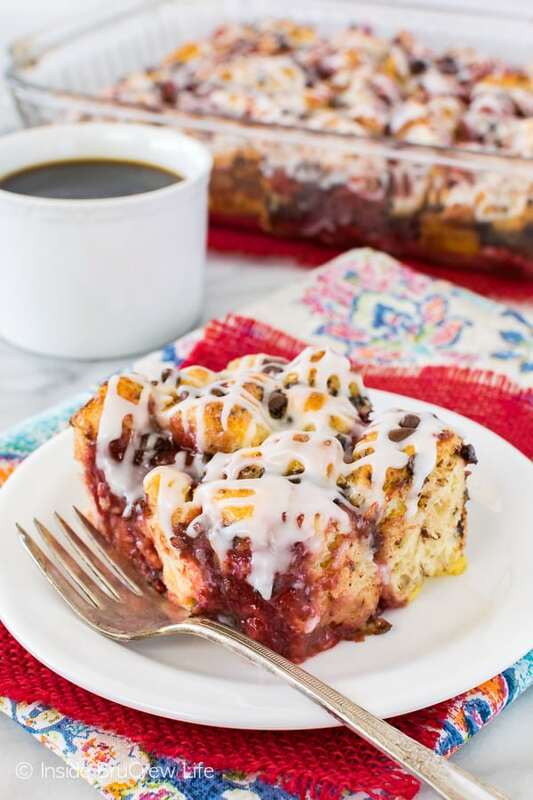 Strawberry Chocolate Cinnamon Roll Bake adds the sweet taste of spring to cinnamon rolls. And don’t forget about that chocolate. Our pantry has gone from being neat and organized to shelves of chaos in a matter of months. I still have baskets and plastic bins for certain items, but I have managed to stuff all sorts of other things in, around, and on top of those bins. The problem is that I cannot go into the grocery store with a list and come out with just those items. Extra ingredients and food items just jump into my cart as I walk by. Half the time I get super excited to make something, only to come home and put the ingredients into the pantry and then promptly forget about them. If you do this multiple times a month, things start to pile up in the pantry. This is the predicament that I have found our pantry in at this very moment. This week I challenged myself to bake something from the items in the refrigerator and pantry. 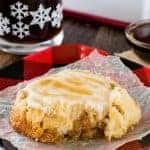 A few weeks ago I had grabbed some refrigerated cinnamon rolls for a quick and easy breakfast for the kids. But then we got busy and left for spring break, and I forgot about them. I found them in the back of the fridge and thought they could be fun to work with. 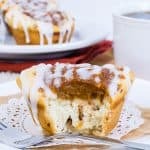 These peach cinnamon roll cups were an easy treat that I made last year, so I headed into the pantry to see what pie filling I had. I had every intention of making something very similar, but then I got to thinking. What if I cut up the rolls and put them in a casserole like French toast? We always use extra bagels in this cherry chocolate French toast bake, so I figured it would work. And since I had quite a few cans of pie filling taking up space on a pantry shelf, I decided to swirl that into the mixture too. As I was in the pantry, I glanced over at the shelf that holds the chocolate. We won’t even talk about how many bags of chocolate chips I have managed to stuff into one of the bins on the bottom shelf. Since there is never a shortage of chocolate chips, I went ahead and sprinkled some of the mini ones in the cinnamon roll bake too. I take every chance I can get to make chocolate acceptable for breakfast. 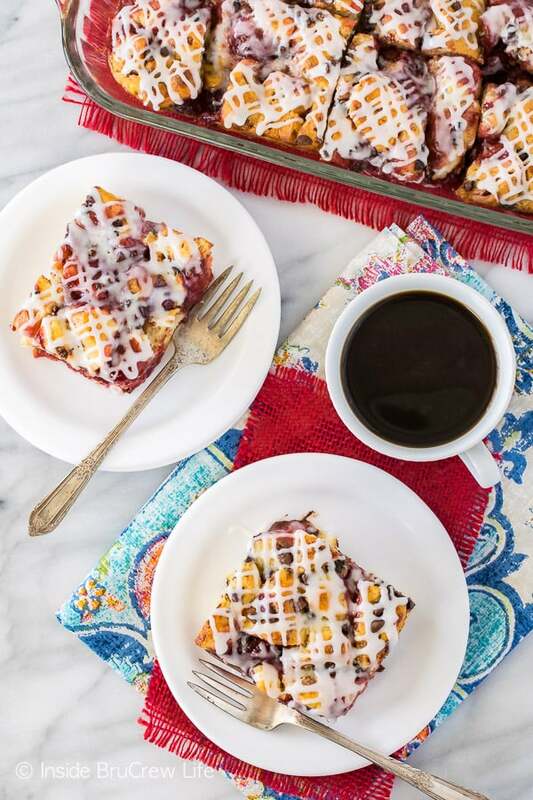 This easy breakfast casserole baked up light and fluffy with pockets of gooey chocolate and strawberry goodness. The drizzle of frosting on top added the perfect touch! Trust me, and eat a big square of this warm from the oven!! It is absolutely divine. It also reheats really well if you need to make it ahead of time. Just pop a square in the microwave for 10-15 seconds, and it melts and gets all gooey again! 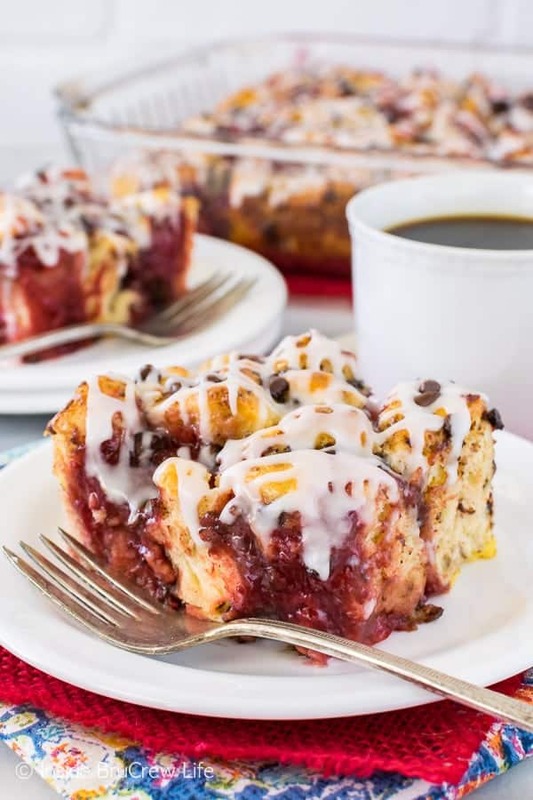 This strawberry chocolate cinnamon roll bake would be perfect for an after school snack or an early morning breakfast. It’s your call! 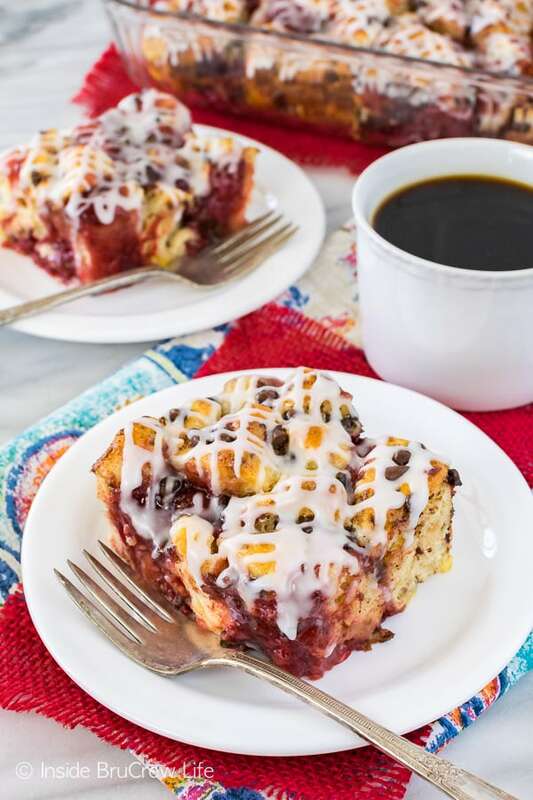 Head over to Food Fanatic where I am one of the breakfast contributors to print this strawberry chocolate cinnamon roll bake recipe. 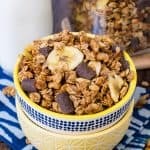 Want more easy breakfast recipes? 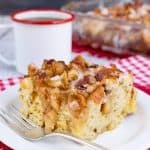 Check out this Apple Fritter Breakfast Casserole. 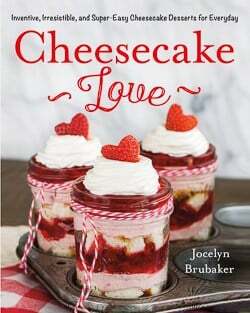 I can’t wait to make that one! 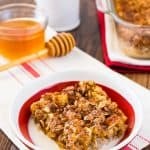 A pan of these Oatmeal Breakfast Bars would be perfect for busy mornings! And I know the boys in our house would love this Meat Lovers Breakfast Pizza. Yum! I want to bury my face in this. I love how a bake/casserole like this is so soft and gooey. The flavors sound incredible! 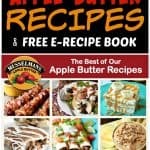 This recipe is delicious! Having a problem at the bottom of the bake though. The egg mix pools in the holes on the bottom of the dish where the rolls don’t touch. Makes like like scrambled eggs. Any way to prevent this from happening? Happened in a couple of the corners too. I don’t think there really is any way to prevent this from happening. The egg mixture being poured over biscuits/rolls/bread will create some egg-like custard pockets. Ours had a little bit too, but it didn’t stop my family from devouring it.